Whereas wheat allergy produces severe and sudden symptom, such as coughing, asthma, breathing difficulties, and/or projectile vomiting, gluten intolerance causes a slower onset of symptoms that adversely affect the immune system. Undiagnosed and untreated, it can lead to anemia, diabetes, infertility, osteoporosis, neurological disorders, and bowel cancer, and may be a factor in at least 77% of all cases of autoimmune disease. Many people who suffer from gluten intolerance develop an intolerance to lactose (milk sugar). For them, the prospect of enjoying something as innocuous as ice cream and cookies can become a major source of distress because so many commercial products contain wheat or milk. 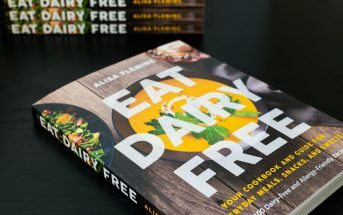 Although natural foods chef, author, and cooking instructor, Rachel Albert-Matesz, doesnt currently suffer from gluten or lactose intolerance, she sympathizes with those who do. For nine years, she followed a vegan (dairy-free vegetarian) diet and in her mid-twenties she developed an intolerance to wheat and corn. Fortunately, she recovered, but people with actual gluten or lactose intolerance must avoid the offending foods for the rest of their lives. For more than 20 years, Chef Rachel has made it her mission to educate and inspire people to make healthier choices. 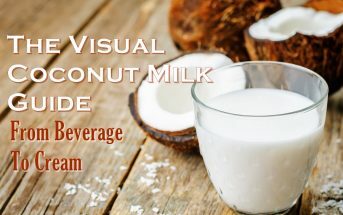 In her new book, The Ice Dream Cookbook: Dairy-Free Ice Cream Alternativeswith Gluten-Free Cookies, Compotes & Sauces, she shares 80 recipes with more than 200 variations for deliciousdairy-free coconut-based frozen desserts and wheat-free, gluten-free,naturally sweetened cookies, fruit compotes, and sauces. 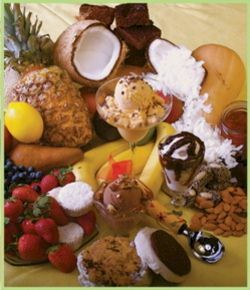 With practical tips for shopping, stocking the pantry, and modifying recipes, The Ice Dream Cookbook is a gold mine of information that makes it easy for even the novice cook to churn out mouthwatering desserts for family and friends.